Julian Huppert, MP for Cambridge, has been given a prestigious national award for his successful campaign for widespread 20mph limits in his Cambridge constituency, to make roads safer and encourage more people to walk and cycle. 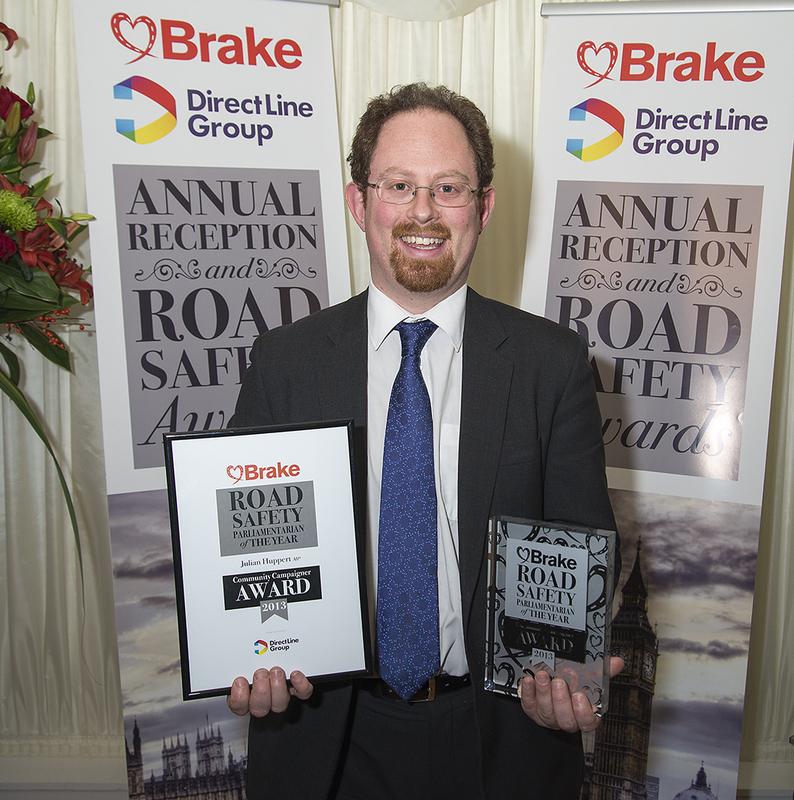 Julian received the ‘Parliamentarian of the Year: Community Campaigner’ award at road safety charity Brake’s annual reception at the Houses of Parliament last night, sponsored by Direct Line Group. His campaigning for safer roads for walking and cycling spans back to 2006, when as leader of the Liberal Democrats in Cambridgeshire County Council, he demanded the council reconsider its negative position on 20mph limits in light of Portsmouth’s decision to implement widespread 20mph limits. After three years of campaigning, the council agreed to trial 20mph limits in small areas of Cambridge city centre. In 2010, Julian led a committee of MPs, the All-Party Parliamentary Cycling Group (which he later joined as an MP), on a tour of Cambridge to show them the benefits of 20mph limits for cyclists. Shortly after this, Julian was elected as MP for Cambridge, and once again took up the mantle of campaigning for safer streets. He began calling for widespread 20mph limits across Cambridge, to make the entire city safer for pedestrians and cyclists. In March 2013, Cambridge City Council announced it will implement 20mph limits on most residential and shopping streets, which will be phased in from January 2014. 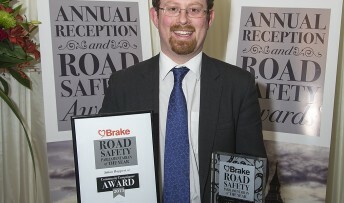 Julian has been a vocal advocate of 20mph limits in the media as well as in Parliament, as co-chair of the All Party Parliamentary Group on Cycling. The group’s Get Britain Cycling report, published in 2013, called for 20mph limits to become the default on urban streets alongside a host of other measures to make streets safer and encourage greater levels of cycling.